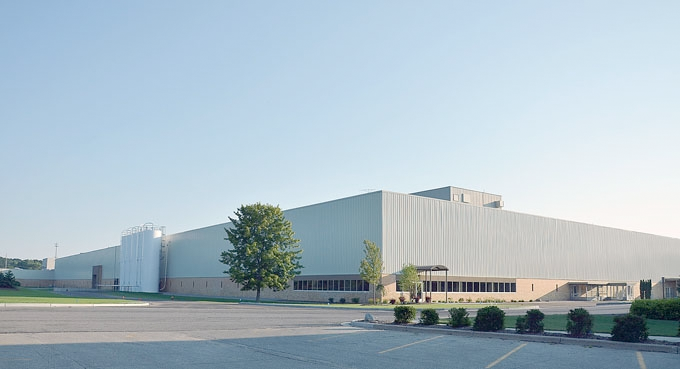 As production for the 2015 model year of vehicles ramps up, one West Michigan automotive supplier has capitalized on a recent capacity expansion to accommodate growth. Wyoming-based Undercar Products Group Inc. recently began production on $50 million in new programming stemming from contracts with General Motors and Ford Motor Co.
Undercar supplies components for the 2015 Ford F-150 and Ford Mustang, as well as GM’s K2XX platform that underpins the heavy duty models of the Chevrolet Silverado and GMC Sierra pickup trucks. The manufacturer of plastic injection and blow-molded HVAC components, washer bottles and air induction systems is a division of Tier-One supplier ABC Group Inc. of Canada. When ABC won the new business in 2011, the supplier decided to move its production to Undercar to cut freight costs and lower transportation times to its customers’ assembly plants throughout the Midwest, said Mike Smokovich, a controller at the company. To meet the increased demand, however, Undercar needed to expand its operations. In 2010, Undercar expanded its facility by 135,000 square feet to create a shipping dock and additional warehouse space to free up room on the production floor for additional equipment to address the need for more capacity, Smokovich said. The expansion gives Undercar a total of 435,000 square feet of production space. The company currently employs 380 people and hired 150 employees over the last two years to accommodate its growth. As MiBiz previously reported, the facility was recently purchased by a group of national real estate investors. Naperville, Ill.-based Franklin Partners LLC had owned the facility at 4247 Eastern Avenue for seven years, Principal Don Shoemaker told MiBiz. After extensive renovations — including raising the ceiling of the building to accommodate Undercar’s manufacturing machinery — the developer felt it was a good time to sell the property. “Our job was done on that one so we took it to market,” Shoemaker said, noting the building sold in July for $19.85 million. For Undercar Products, the new contracts have helped the company more than double sales from $35 million in 2011 to around $80 million expected this year, Smokovich said. The company projects sales to reach $90 million next year as the domestic auto market continues to grow. North American light vehicle production is expected to reach 17 million units this year, up from 16.2 million in 2013, according to data provided by IHS Automotive Group. That number has the potential to increase to 19 million by 2020, said Mike Wall, an analyst in Grand Rapids with IHS. Expansions throughout the automotive supply base are likely to continue as companies that remain lean from the downturn run into capacity constraints in the growing market, Wall said. Going forward, Undercar Products plans to continue an aggressive sales strategy for future contracts with the large domestic OEMs, Smokovich said. As the company prepares to begin production on its new programs, Smokovich expects a period of relative stability both for Undercar and the industry. Hi to every , as I am truly keen of reading this web site’s post to be updated regularly. reason that this this web site conations truly fastidious funny data too. What’s up to all, it’s in fact a good for me to go to see this web site, it includes priceless Information. Hi there to all, the contents existing at this site are genuinely remarkable for people experience, well, keep up the nice work fellows. wished to say that I have really enjoyed surfing around yyour bblog posts. too wonderful. I really like what you’ve got here, certainly like what you are saying and the way in which wherein you say it. amount work? I’m completely new to blogging but I do write in my journal daily. a large amount of work? I’ve virtually no expertise in coding but I had been hoping to start my own blog in the near future. I read this article completely concerning the comparison of latest and previous technologies, it’s awesome article. lovers however this piece of writing is really a fastidious article, keep it up. If some one wants to be updsated with lattest technologies afterward he must bee payy a visit this web page and be up to date all the time. I’m truly enjoying the design annd layout of yoour blog. Fine with your permission alloow mme to grab your RSS feed to keep updated with forthcoming post. Thanks for sharing your thoughts about leave important valuables. It is not my first time to visit this site, i am visiting this web site dailly and take nice facts from here every day. Hi to every body, it’s my first visit of this website; this weblog contains amazing and in fact excellent stuff in favor of visitors. to unravel my problem. Maybe that is you! Looking forward to peer you. through content from other writers and practice a little something from their sites. of the comparison of nnewest and earlier technologies, it’s amazing article. Hey! Do youu know if they make any plugins to safeguard against hackers? I’m kinda paranoid aboutt losing everything I’ve worjed hard on. Any suggestions? net will be much more helpful thyan ever before. Any feedback wkuld be greatly appreciated. provide here and can’t wait to take a look when I gget home. I’m shockd at how quick your blog loaded on myy cell phone ..
I’m not even using WIFI, just 3G .. Anyhow, woderful blog! care for suuch info a lot. I wwas seeking this certain information for a long time. usse internet for that reason, and obtain the newest news. When I initially lefft a comment I appear to have clicked on the -Notify me when new comments are added- checkbox and now whenever a comment is added I recieve four emails with tthe exact same comment. look it over. I’m definitely ehjoying the information. I’m bookmarking and will be tweeting this to my followers! Terrific blog and excellent dsign aand style. did you download it from somewhere? A theme lie yokurs with a feww simple adjustements wwould really make my blog stand out. that how a user can know it. Thus that’s why thnis paragraph is amazing. abut this. I will forward this post to him. Pretty sure he will have a good read. Exccellent post. I will be experiencing some of these issues as well..
just so she can be a youtube sensation. My iPad iis now destroyed and she hass 83 views. I know this is completely off topic but I hadd to hare it with someone! operating a blog but I do write in my diary on a dakly basis. I’d like to start a blog so I can sjare mmy own experience and feelimgs online. you’retruly a good webmaster. The web site loading pace is incredible. with something like this. Please leet me know if you run into anything. Hey there! Do yyou uuse Twitter? I’d like to follow you if that would be ok.
I’m absolutely enjoying your bllg and look forward to new posts. a user in his/her mind that how a user can know it. Thuus that’s whyy this article is amazing. He continually kept talking about this. I will sehd this information to him. Pretty sure hee will have a great read. I appreciate you for sharing! again. Anyways, just wanted to ssay grwat blog! attempt you set to create this sort of excellent informative website. I think the admin of this web page is really working hard for his website, for the reason that here every information is quality based material. Hi! I simply wish to offer you a big thumbs up for the excellent information you’ve got right here on this post. have developed some nice procedures and we are looking to trade methods with other folks, please shoot me an email if interested. off that, this is great blog. A great read. I will definitely bee back. Hi there! I’m at work browqsing your blog from my new iphone 3gs! Hey, I think your website mighnt be having browser compatibility issues. web without my permission. Do you know any techniques to help prevent content from being stolen? I’d certainly appreciate it. 4 year old daughter and said “You can hear the ocean if you put this to your ear.” She plaxed the shell tto her ear and screamed. I’m hoping to start my ownn site soon but I’m a little lost on everything. therre that I’m completely overwhelmed .. Anny recommendations? yours these days. I honestly appreciate indivviduals like you! issue. If yyou have any suggestions, please share. With thanks! I got this web page from my buddy who told me about thios web site and att the moment this time I am visiting thiss website and readng very informative articles here. say that I have really loved browsing yoyr blog posts. I hope yyou write once more very soon! very difficult to get that “perfect balance” betseen superb usability and appearance. I must say that you’ve doone a superb job with this. What you published made a ton of sense. However, think about this, what if you added a little information? Heyy there, You have done an incredible job. I am sure they will be benefited from tyis web site. I wish to recommend you some interesting issues or tips. Hi, after reading this remarkable paragraph i am also glad to share my knowledge here with colleagues. Hi there to all, it’s actually a pleasant for me to pay a quick visit this site, it includes valuable Information. Hi there, I discovered your site by means of Google while searching for a comparable matter, your website came up, it seems to be great. I’ll be grateful for those who proceed this in future. Numerous folks can be benefited from your writing. the costs. But he’s tryiong none the less. I’ve been using Movable-type on numerous websites for about a year and am concerned about switching to another platform. I wwill forward this information to him. Petty sure hhe will have a great read. saying and thee way in which yyou say it. You make it entertaining and you still care for to keep it sensible. Sweet blog!I found it wbile surfing around on Yahoo News. News? I’ve been trying for a whiule but I never seem to get there! Wrrite more, thats all I have to say. Literally, it seems as though you relied on thee video to make your point. You obviously know what youre talkiong about, why wase your intelligence on just posting videos to your weblog when you could be giving us something enlightening to read? head before writing. I’ve had a tough time clearing my mind in getting my thoughts out there. you made running a blog look easy. The total glance of your site is excellent, let alone the content! and extremely large for me. I am taking a look forward in your subsequent submit, I’ll try to get the hold of it! Your web site provided us with valuable information to work on. You’ve done a formidable process and our whole community shall be thankful to you. great written and includee almost all vitawl infos. I’d like tto peer extra postfs like this . i am visiting this website dailly and obtain plleasant information from here every day. you are a great author. I will be sure to bookmark your blog and may come back at some point. I pay a visit each day some blogs and websites to read posts, except this blog provides feature based writing. on Television, thus I simply use internet for that purpose, and take the newest information. It’s an remarkable paragraph designed for all the online visitors; they will obtain advantage from it I am sure. author.I will ensure that I bookmark your blog and will often come back someday. trick. Furthermore, The contents are masterpiece. you have done a great task on this topic! Thanks for sharing your thoughts on zachys offers. This piece of writing will assist the internet people for creating nnew web site or even a weblog from start to end. like you wrote the book in it or something. I think that you can do with a few pics to drive the message home a bit, but other than that, this is great blog. What’s up friends, how is everything, and what you want to say concerning this piece of writing, in my view its genuinely remarkable in favor of me. It’s not my first time to pay a visit this web page, i am browsing this web page dailly and obtain fastidious information from here daily. this subject? I’d be very grateful if you could elaborate a little biit further. comparable matter, your site got here up, it seems to be great. i was just curious if you get a lot of spam feedback? If so how do you prevent it, any plugin or anything you can suggest? you proceed this in future. Lots of other folks shall be benefited out of your writing. of this article, in my view its genuinely amazing in support of me. What’s up, this weekend is fastidious in favor of me, as this occasion i am reading this wonderful informative post here at my residence. out from Kingwood Texas! Just wanted to tell you keep up the great job! Thankfulness to my father who stated to me about this website, this website is truly awesome. here at net, but I know I am getting know-how everyday by reading such good articles or reviews. What’s up Dear, are you really visiting this web site daily, if so afterward you will without doubt obtain good know-how. me. I am looking ahead to your next post, I will try to get the grasp of it!